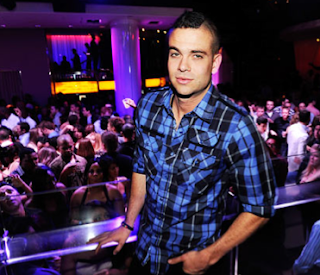 Mark Salling partied in my home away from home this weekend. The Glee star hosted a wild bash at Pure at Caesar's Palace in Las Vegas on Saturday. Costars Chord Overstreet and Harry Shum Jr. were at Tao with my during my last visit, but I would much rather have partied with Puck. I may not be a fan of the mohawk, but boy is he cute.